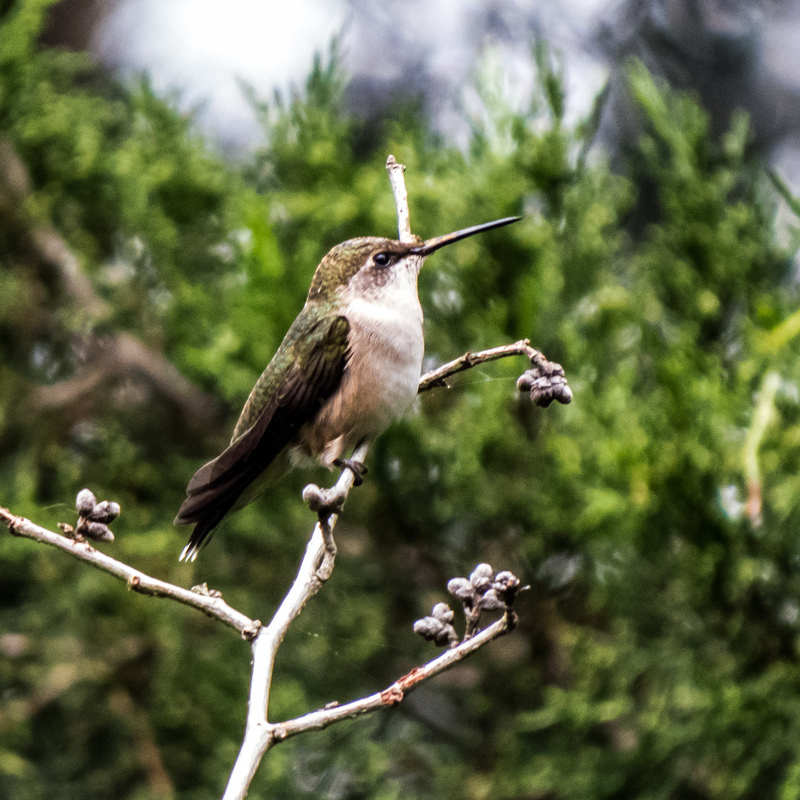 Normally I don’t do consecutive blog posts of the same subject, but I got such an overwhelmingly positive response yesterday to my images of Ruby-throated Hummingbirds (Archilochus colubris) that I decided to post a few more. All of these hummingbirds, the only species found in the eastern part of the US, will probably depart soon to winter in a warmer climate, so I figure I better take advantage of this opportunity while I have it. 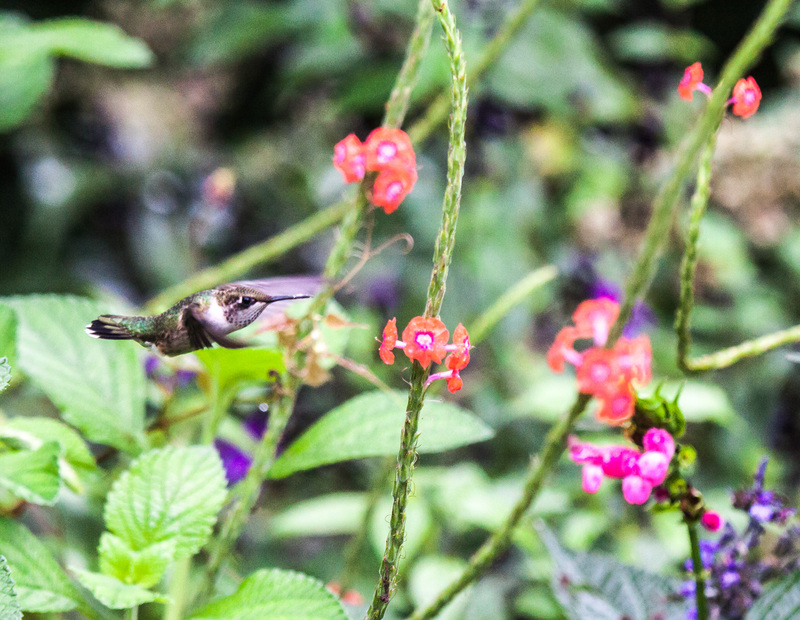 The best chance to snap a photo of a hummingbird is when it hovers to gather nectar (or when it is perched), but I managed to capture the first image as the hummingbird was zooming on by. I love its body position. From an artistic perspective, the second image is my favorite. The background is simplified and less cluttered than in other images and the bright color of the flowers really grabs the viewer’s eyes. The slightly blurred wings are in a wonderful position and help to emphasize the sense that the hummingbird is in motion. The final shot was taken with a different camera. As I noted yesterday, I was shooting with my 180mm macro lens, but I also had my Canon SX50 superzoom camera with me. It has a long reach, but doesn’t handle fast action very well, so it mostly stayed in the camera bag. When one of the hummingbirds perched in a distant tree, however, I was able to pull it out and use it for this static portrait. I love hummingbirds! You can post as many shots of them as you want! 🙂 Of course you can post as many shots of anything that you want, its your blog. I just may speed by your blog faster if I see those creepy crawly images. LOL! 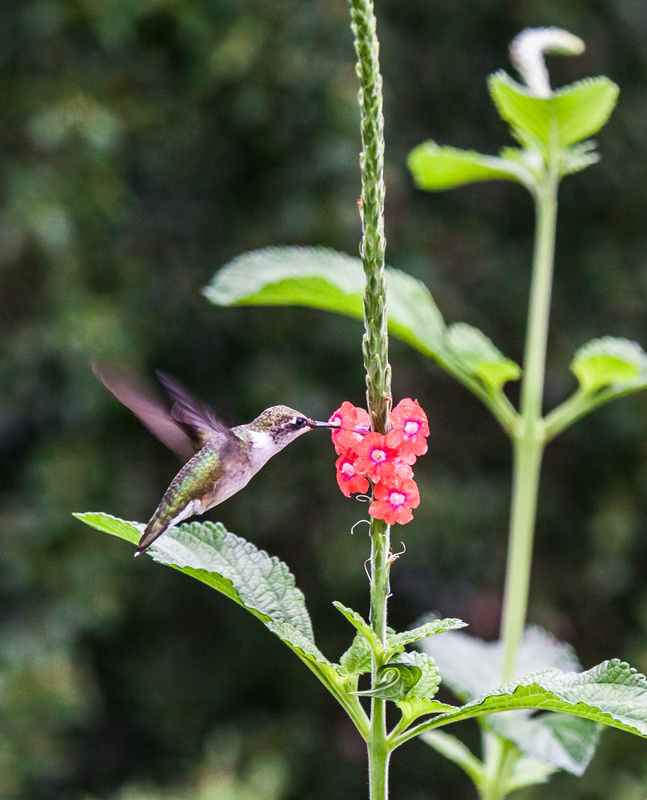 But I must have missed your blog post yesterday so I am going back now to see more humming birds. Thanks! I’m glad you did, Mike. I’ve been on the road and I think I missed the previous one (or I forgot that I read it…getting old, too).